This is heartbreaking news. 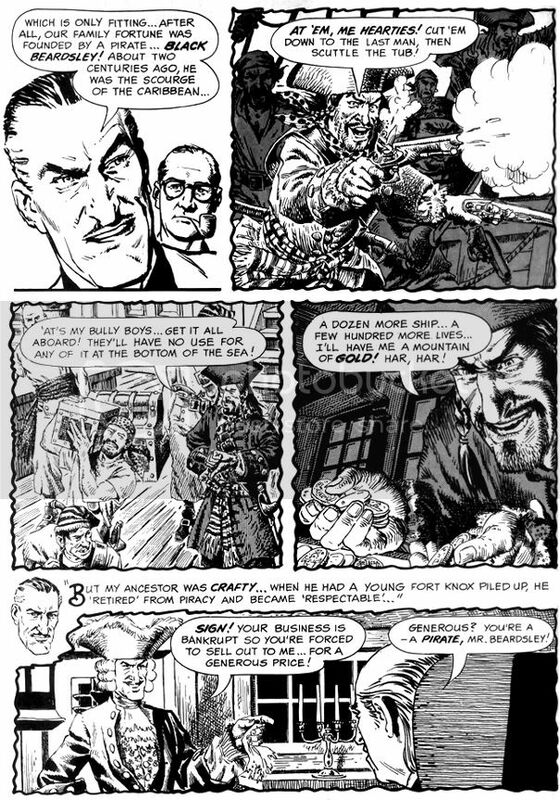 Comics great John Severin, 90, passed away on February 12th. I haven't written about him here, but he was one of my all-time faves. He truly was. Years ago I bought America at War: The Best of DC War Comics, a book full of-- you guessed it!-- DC war comics. One of the standouts was the John Severin-illustrated "Push-Button War! ", (originally printed in Our Army at War #67, DC, 1952) about a B-17 bombadier and how "easy" his war was compared to that of everyone else. He had a distinctive way of drawing eyes that was instantly recognizable, and a unique crosshatching method to build up tone. There was no mistaking whose work it was. Plus, it was signed. This story was from the guy I knew and enjoyed for his humor work with Cracked magazine at the time. I was astounded. I was a fan. It made me appreciate his comedy stuff all the more. When he drew Cracked's E.T. parody, the caricatures were dead-on. Subtler than Mort Drucker's or Jack Davis's, but no less amusing for it. I was in junior high at the time and drawing my own epic comic, a completely insane story in which every Marvel character along with whatever other pop culture property caught my attention-- Indiana Jones and Jake Cutter from the TV show Tales of the Gold Monkey plus John Belushi and Dan Aykroyd in their parts from Steven Spielberg's flop panic-comedy 1941 play secondary roles-- fight a war against the Theragran-M delivery man for some reason. Severin's version of Elliott tossing the softball into the garden shed makes an appearance, painstakingly copied line-for-line as best I could at the time. In fact, I copied every figure in the story from various comics. It didn't matter that none of them were stylistically compatible. I just knew I had to work some John Severin into the mix. In those days it had simply never entered my thinking artists could cross genres, or if they did, they could do so at John Severin's lofty level. Later I learned just how many genres Severin worked in. War, western, horror, fantasy, superheroes. Science fiction? Sports? I'm not sure. I feel like he did it all. I know he did it all with an amazing sense of verisimilitude. From the gunner positions in the heavy bomber of that first story I read to his EC stories in Two-Fisted Tales and Frontline Combat to the pirates in his Warren classic "Drink Deep" (Creepy #7, February 1965) and stories in Blazing Combat to more recent work for Marvel and Dark Horse, everything Severin drew looked and felt authentic. Real, without the crutch of photorealism. I think one of the highest compliments you can pay an artist is to recognize him or her as being able to "draw anything." John Severin could draw anything. I can't think of too many artists with Severin's career longevity. 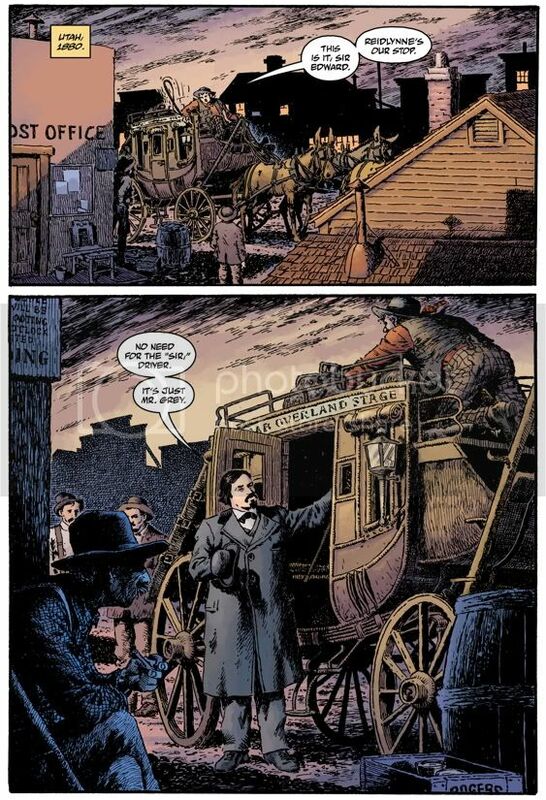 He did his first professional work at age 10, later served in WWII, broke into comics in the late 1940s (probably 1948) and just last year illustrated Witchfinder: Lost and Gone Forever, a five-issue miniseries for Dark Horse-- with no appreciable drop in quality! His last published job looks every bit as fresh as anything he did in the 1950s and 1960s for EC and Warren! That in itself is almost superhuman! Many artists follow a kind of bell curve trajectory in their careers. There's the rise to competence-- or in some lucky cases, pure genius-- followed by a peak period, then a long decline. Few artists appear fully-formed, and if it appears so it's more than likely because he or she spent those formative, rising years working in secret. We discover them and enjoy their peak time, which, if they stay mentally and physically healthy, can last decades. If not, the decline makes an abrupt and steep downturn on the chart, a cliff-like drop off in output. Even with geniuses like Jack Kirby and Al Williamson, we can trace a late career decline in quality. For some tragic individuals like Wally Wood and Reed Crandall, the end comes suddenly, shockingly. In John Severin's case, the rise took place way before I was born. "Push-Button War!" came early in his career and it was still eye-catching to me when I first read it even during a time when Neal Adams, John Byrne, George Perez, Michael Golden and others like them had become the gold standard. The fan faves. The ones we all wanted to draw like. I'm happy I had the good taste to pick up on John Severin. Those others were and still are idols of mine, and their work figured largely in my stupid self-drawn comic book. But my love for good art recognized no trendiness. I saw "Push-Button War!" and I knew at once I was looking at some fantastic stuff. I had to try and assimilate it as well. I had to seek out more John Severin. He never disappointed me. A fill-in issue of The 'Nam? Sweet. Rawhide Kid? Well, okay! Working with Mike Mignola and John Arcudi? Holy Hellboy! As far as I can tell, Severin spent the entire duration of our overlapping time alive on a high-altitude plateau of brilliance. He really skewed the charts on maintaining one's gifts. He's left behind a lot of richly deserved admiration and a generation-spanning body of work a comic fan could spend a lifetime examining. Well done, Mr. Severin. I will miss you dearly.